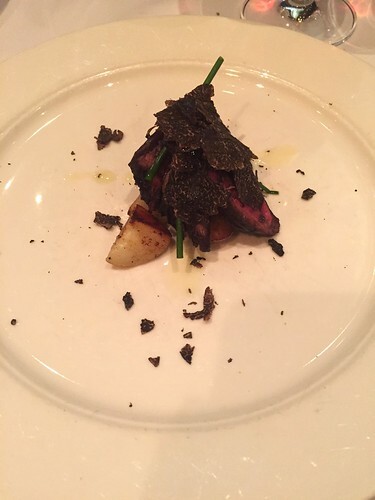 Porcini-rubbed hanger steak with new potatoes and shaved black truffles – a pretty small portion but super generous with the truffles (as were all our courses, actually). 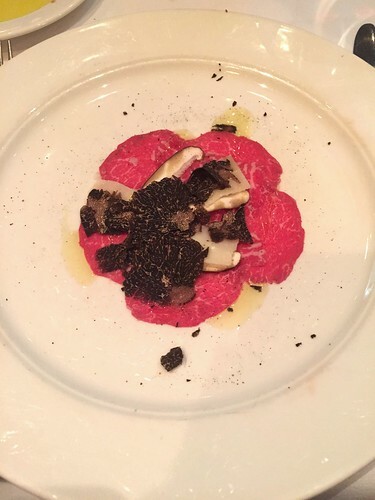 Cooked perfectly. 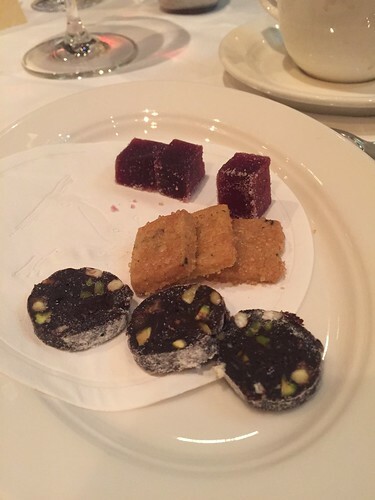 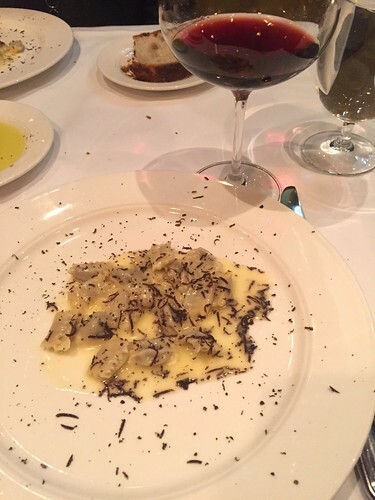 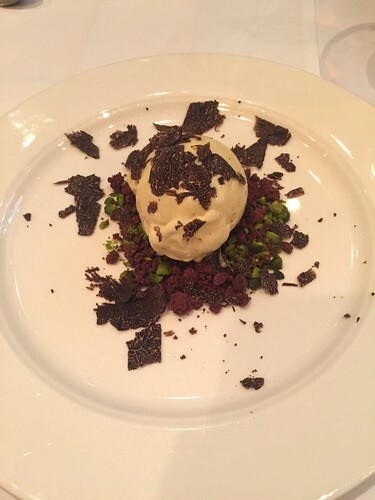 You are currently reading Truffle tasting menu at Babbo at Notes on Food.